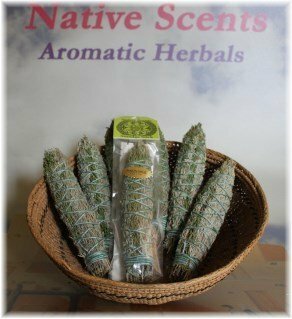 Piñon and Sage are both used by Navajo peoples for different ceremonial purposes. The wood has been burned to produce a pleasant aroma for ages, and on cold winter nights the smoke can still be seen coming from chimneys. Coupled with Desert Sage this smudge captures the fragrance of the Southwest.